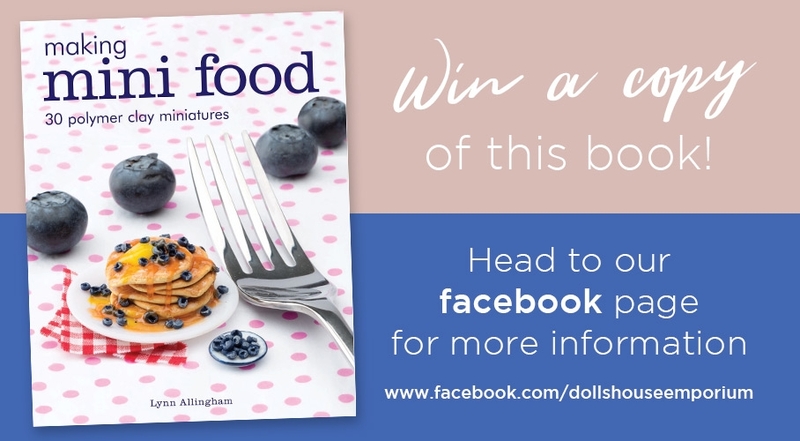 We’ve been very lucky again here at Doll’s House Emporium, as we’ve been given the chance to review another book by the fantastic Lynn Allingham. 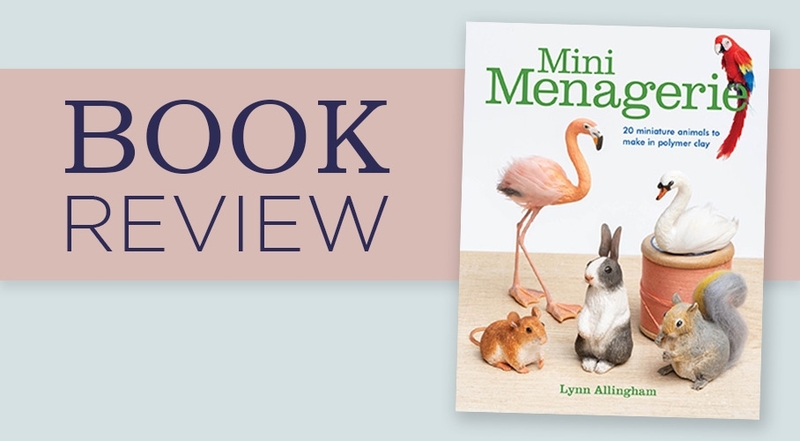 This time her beautiful new book, Mini Menagerie. 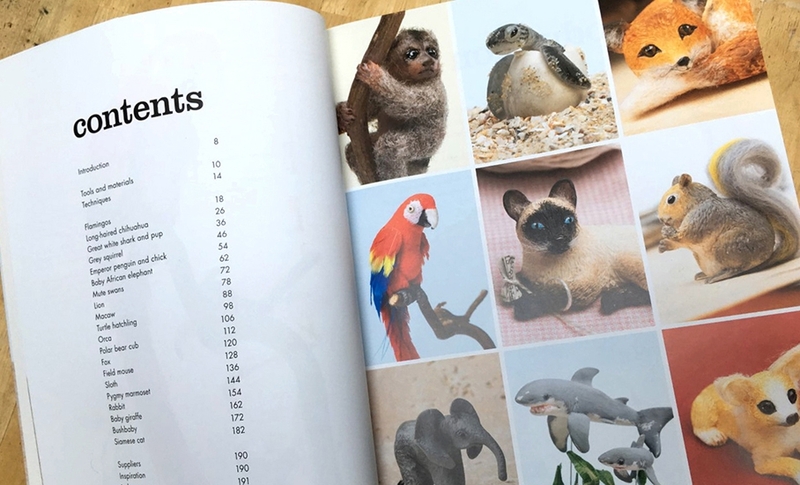 From cute cats to beautiful bush babies, the book has clear step-by-step instructions showing you how to bring 20 different miniature animals to life using polymer clay. Each animal is incredibly life like and full of character! 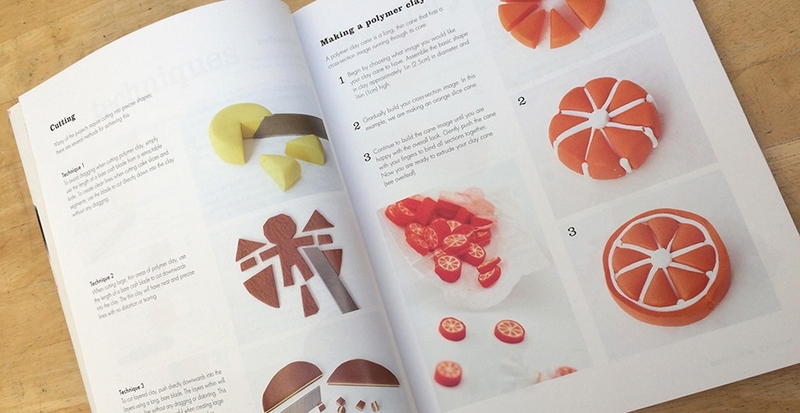 As with her previous book Making mini food each project has easy to follow instructions, accompanied by clear photographs, which help you follow along with all the makes. 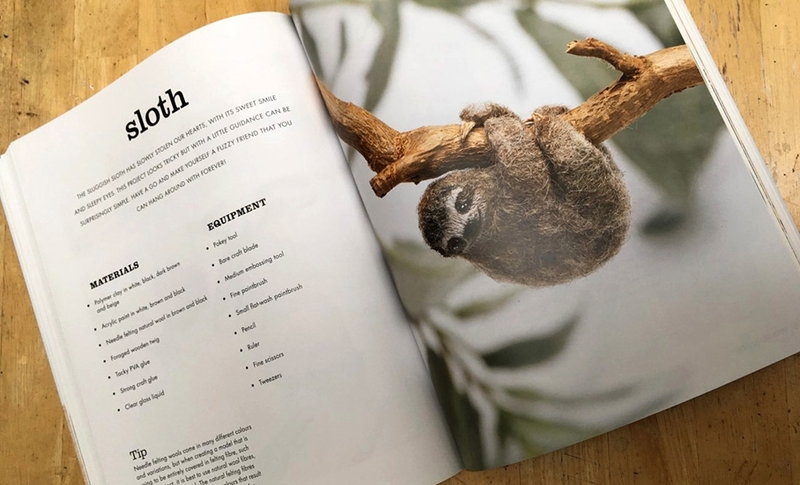 The book also has the all-important Tools and Materials and Techniques sections, which are essential in helping you to lift the animals from the pages and into reality. Each of the projects has a clear Materials and Equipment list as well as very useful Tips. The concise tips help guide you with the slightly more challenging parts of the projects and little bits of information to help your project run smoother. It also offers a lovely personal touch from Lynn. 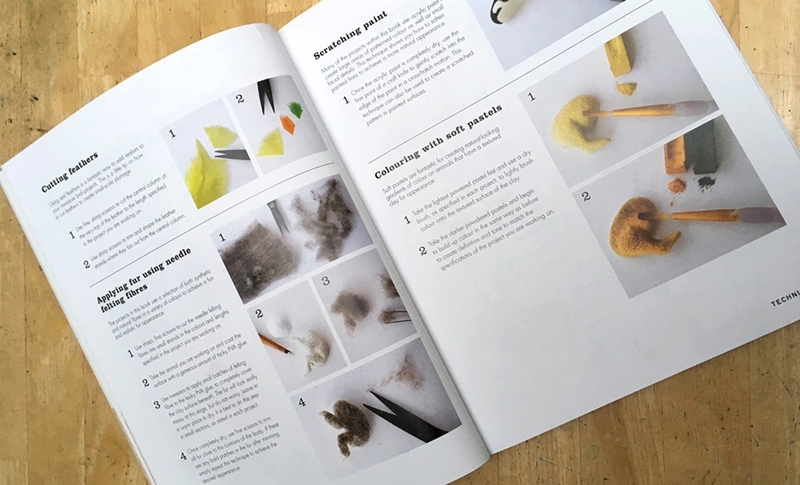 Our favourite thing about the book is the mixed media elements that Lynn has introduced, using felting, foraged materials and other skills and crafts to help bring these beautiful creatures to life. 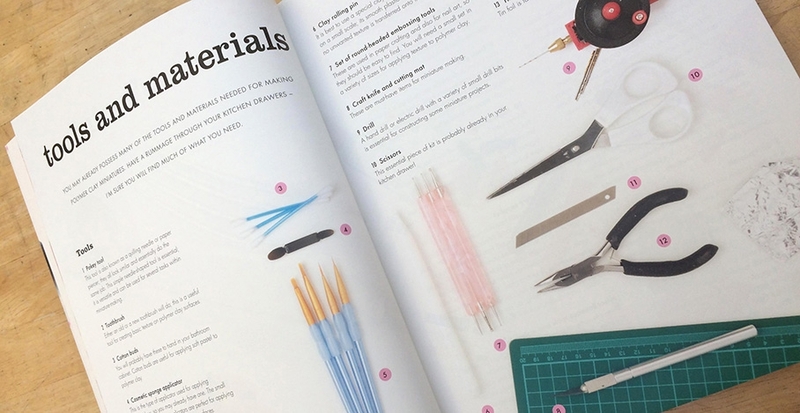 We think that this is a brilliant book and is a must have for both beginner and more experienced makers. 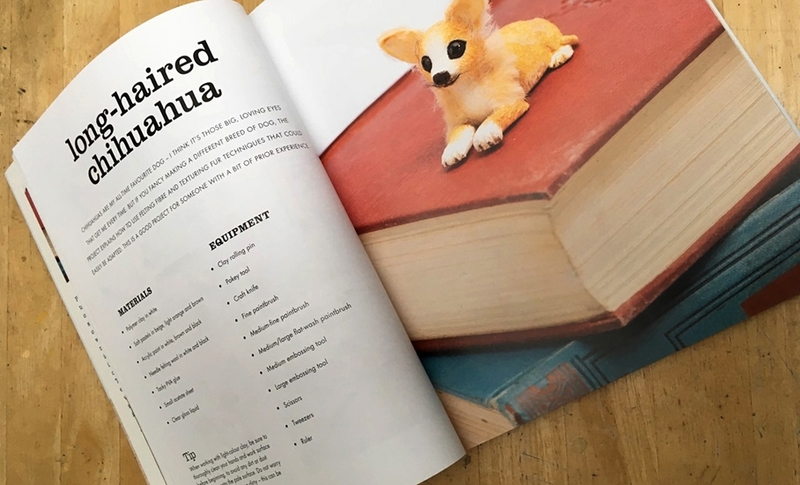 We would highly recommend it to anyone who wants to give creating their own miniature animals a try! Want to know more? A while ago we caught up with the lovely Lynn Allingham for a chat. Read our exclusive interview here. 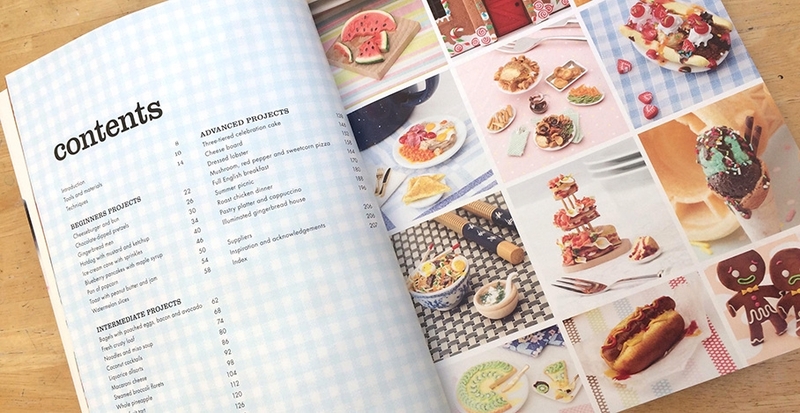 We’ve been lucky enough to get our hands on a review copy of Making mini food by the brilliant Lynn Allingham, and we wanted to share our thoughts with you! 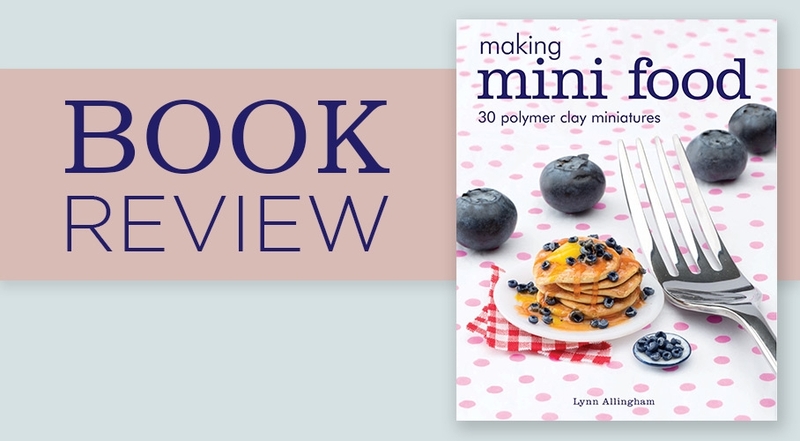 The book contains instructions for how to create 30 miniature projects from polymer clay. Each of the miniatures is beautifully photographed, helping to show off the incredible detail that can be achieved by following the instructions. Essential in books of this sort are the Tools and Materials and Techniques sections, and Making mini food really does excel in this department. The Tools and Materials section is well photographed, so that you can be confident that you’re using exactly the right tool for the job (and many of the items that you need can be found around the home, too). 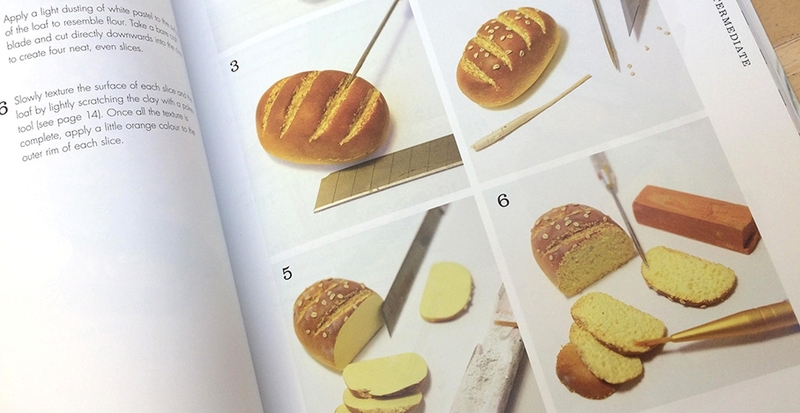 The 30 projects are separated into three skill categories: beginner, intermediate and advanced, and each contains easy-to-follow step-by-step instructions. Each step is accompanied by a clear photograph to show you exactly what you should be doing. Don’t be fooled into thinking that the beginner projects won’t yield amazing results just because they’re relatively simple. 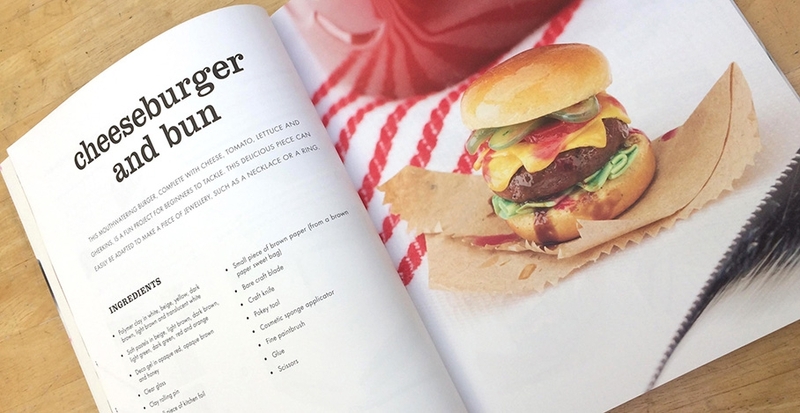 Some of the projects in this section (such as the cheeseburger, shown here) are among our absolute favourites, and show just how possible it is to achieve fantastic results. 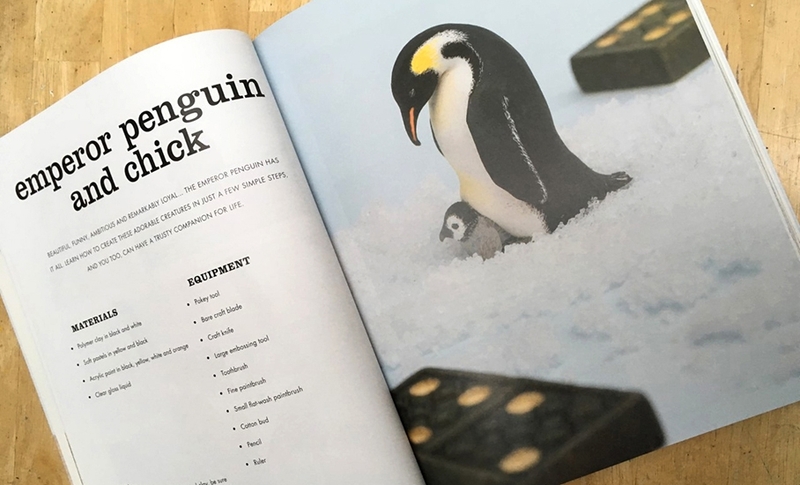 Our favourite thing about the book has to be the clarity of the instructions. Lynn has done an excellent job of clearly explaining exactly what needs to be done at each step, and the photographs make following along a breeze. We think that this is a fantastic book, and we’d highly recommend it to anyone who wants to give creating their own miniatures a try! Want to know more? We recently caught up with Lynn Allingham for a chat. Read our exclusive interview here. 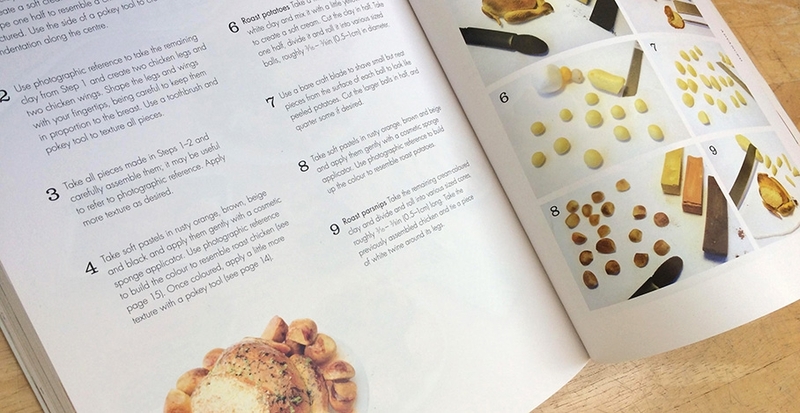 Want to WIN a copy of Making mini food? Head over to our Facebook page to get involved with our fantastic giveaway! Please note: the Making mini food giveaway will run for a limited time only. We love talking shop here at The Dolls House Emporium, so as well as seeing all the product spec in print and online, web users can now sit back and enjoy our brand new product videos. They’re not directed by Scorsese but are specially designed to reassure customers about what they’ll be getting – and to showcase some of the most popular stock to give inspiration on how to get the most out of houses they already own. They deliver information about what we sell and complement existing videos which show people how to build, make and do. We have made the videos to connect better with you, the customer – as we’ve found they can tell the story on a more personal level than ordinary web pages. They’re designed for miniatures market and run through features and queries in a shop-setting at our Ripley HQ, where customers can get to grips with 30 built and decorated houses for themselves. We are now able to show the true versatility of individual Dolls House Emporium pieces, what works well with what, and why they’re worth having in a particular setting. Showing products in situ also give a perfect idea of scale, the quality of craftsmanship and how to co-ordinate ideas, colours and eras. Tune in to our Youtube channel http://tinyurl.com/dhevideo and pick up information, hints and advice on The Classical Dolls’ House, Amber House, the Malibu Beach House, Wentworth Court and Magpies. Or see them direct via our own website. Viewers can also get the low-down on the new modern sofa suite, a grandfather clock and the hand-painted French Armoire – an ornamental gift in itself. The house videos are all under ten minutes long, with product videos around two minutes each, time well-spent before making a purchase. You can now get the inside track on Dolls House Emporium houses and accessories with a range of product videos being launched this week. The first, hosted by product manager Sophie, shows the beautiful new hand-painted French Armoire Cabinet which has been introduced this September in the new catalogue. With the Ripley shop as her backdrop, Sophie is the "hostess with the mostest" as she shows all the features the product has to offer and how it fits into one of the most popular houses in the range, Grosvenor Hall. The cream Armoire cabinet with hand painted flowers measures 160 x 90 x 40mm. The versatility of the piece is evident as Sophie shows it fitting in well in either the lounge, dining room or bedroom, and explains how it goes with a variety of wallpapers, including the French silk wallpaper now available at the shop or via mail order. Useful as a jewellery store as well as dolls' house furniture, this item is part of a new French-style range. It is item number 4401 and costs £37.70. Watch out for more videos very soon. Our dolls' house kits are regularly reviewed by the hobby's leading publications. The following review of Blossom Cottage by Jay Myers is taken from Dolls House Magazine, issue 1. 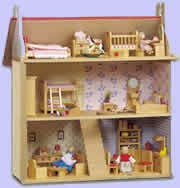 Blossom Cottage has since been replaced but we have many new and exciting childrens dolls' houses available. This simple yet realistic dolls' house with three floors, central staircase, opening front panel and flip-up roof, is the ideal starter home for young children. Available from The Dolls House Emporium, it's also the perfect kit for those who have never assembled a dolls' house before. No gluing, nailing or hinging is required. Glue is provided however for a permanent build if required, but I found this unnecessary as the finished house is rock solid. The entire structure simply slots together in less than ten minutes. In fact it will probably take you longer to make a cup of tea than it will to have the house in complete working order. After assembly, the dolls' house is suitable for children over the age of 36 months. 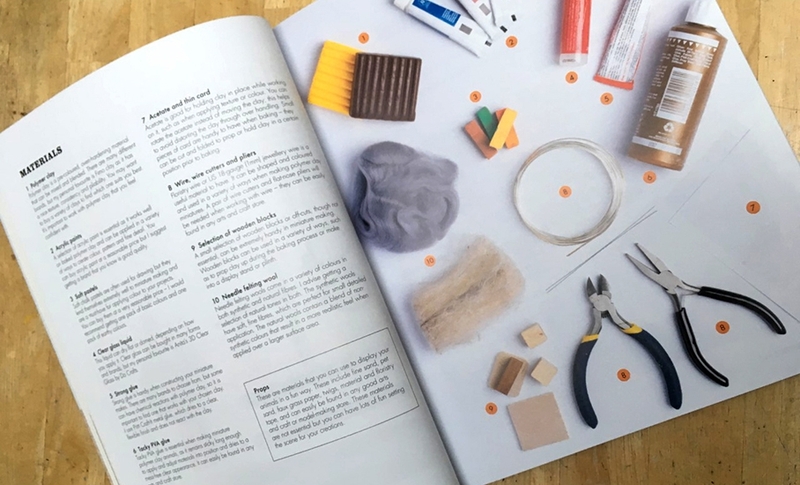 The kit has also been highly recommended by The National Toy Libraries Association after undergoing stringent testing and has been included in The Good Toy Guide. Constructed in smooth, splinter-free 6mm, 9mm and 12mm MDF, Blossom Cottage measures 596mm x 360mm x 653mm. Sixteen easy-to-follow steps highlighted by clear line drawings make it virtually impossible to go wrong. Before you know it, the Blossom Cottage comes to life ready for action. And because it comes pre-painted - front panel and door, sides and roof - all you have to do is apply the decorative wallpaper to the floor and back walls to complete the project. In my Blossom Cottage, I used blue Victorian tile paper for the bathroom, red and blue nursery wallpaper for the bedroom, pink bouquet paper for the lounge and the apricot floral sprig design for the kitchen. All four papers, also available from The Dolls House Emporium, come complete with attractive borders. Having sized the walls first, I applied ordinary wallpaper paste to all four papers (including the parquet flooring paper) without any shrinkage or other related problems. The result was a super smooth, blemish-free finish. I also coloured the staircase to complement the colours and designs of the wallpaper. After applying a series of various wood stains - walnut, red mahogany and dark oak - followed by a couple of coats of satin varnish, I achieved the look I wanted. Then it was simply a matter of locating the stairway into the groove provided in the base. Again, no glue is required as the fit is snug. Weighing 11.6kg (25.5lb), the Blossom Cottage is a sturdy and robust dolls' house that will last indefinitely. And because of its clever design format - the slide-in roof and base fittings for example, provide additional stability - the dolls' house can be disassembled in minutes. Keep the original box and simply store it in the loft or garage for future use, or when moving house.